A few different titles are used for the Sunday school director's position. If your church has a single person that is over all the other classes, the name "Sunday school Director" works just fine. 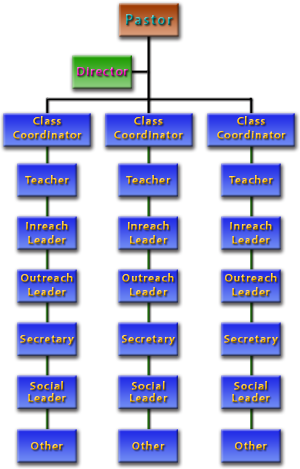 However, in a larger church, you may divide your Sunday school into multiple departments and choose to put a person (or Director) over each department. In this case, I usually call the person who is over all the departments, the Sunday School Superintendent," and the people who are over each department, Directors. No matter how your church is structured, both the Sunday School administrator and directors take care of the general administrative tasks as related to the Sunday School ministry. They are responsible for the organization, enlisting and equipping leaders, curriculum needs, and other aspects related to helping the Sunday school ministry function smoothly and effectively. For a full explanation of this position, see my article on the Sunday school Superintendent. The "Teaching To Transform Not Inform" series helps Sunday school directors train their teachers. 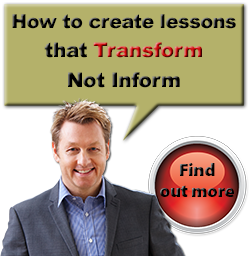 The Teaching To Transform Not Inform series provides simple, step-by-step, teaching principles and methods that help teachers teach transformational lessons that change lives. 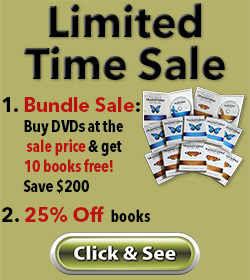 You can find a more detailed outline of the books by visiting our store. But as for you, continue in what you have learned and have become convinced of, because you know those from whom you learned it, 15 and how from infancy you have known the holy Scriptures, which are able to make you wise for salvation through faith in Christ Jesus. 16 All Scripture is God-breathed and is useful for teaching, rebuking, correcting and training in righteousness, 17 so that the man of God may be thoroughly equipped for every good work.